As the client deals with supplying processed milk to the packing stations, it has to be carried out from one place to another and its impeccable to maintain the temperature within the set threshold. The client’s requirement was to monitor the temperature and inside their delivery vehicle; along with that, they required a single sophisticated system to monitor the parameters of chiller units and to monitor the fleet activities in real time. Client was provided with Trinetra solution, to offer them a turn- key solution to dairy industries to deliver the processed milk in storage tankers by ensuring its superiority and impeccability. Milk processing plant has prime use in processing a variety of milk also the processed milk to be moved from processing plants to the packing stations. In this range, Maintaining the temperatures of the refrigerated units in the trucks is the challenge faced by the dairy industries. Transportation of these high temperature sensitive products and providing on-time delivery was the major criticality. Now, with assistance of Trinetra’s temperature monitoring KPI helps to adhere the business rules set. Stakeholders have access to their vehicles usage and optimize it based on their nature of business. Trinetra’s GPS Fleet Management solution caters the client needs by offering extensive solution to capture all vital information in high quality standards with seamless operations. Real time data acquisition plays the vital role in delivering the products in which temperature is the primary constraint. 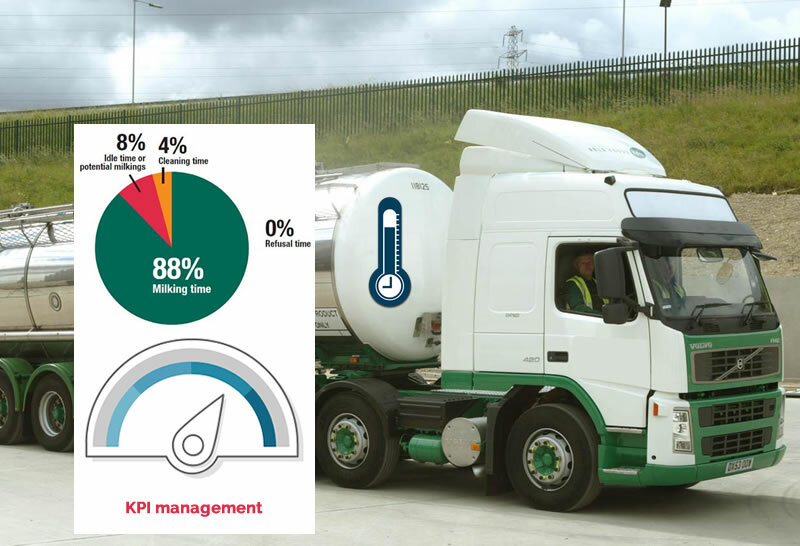 The temperature sensors in Trinetra assists in monitoring the set temperatures with the threshold levels variance in it will be reflected in the form of alerts, through which the respective stakeholders can take remedial measures in ensuring the safety and on-time delivery of the milk trucks. Trinetra also helps in managing the fleets showing location update, status on parked and idling, delay notification, which leads to perfect on-time delivery to the distribution agents is attained.